Printing is an integral aspect to every single business: Weather its simple business needs like letterhead or envelopes, or essential business needs like statements, business cards, payment reminders or direct marketing letters. Quite simply business printing is a multi-billion dollar per year industry and the essential business printing all has an element of variable data printing in it. Focusing on the direct marketing letters: There has been an increase in almost $20 billion in direct mail per year since 2005, since a lot of the more traditional “shot gun” approaches to marketing have been vastly limited by regulations or just simply annoying like telemarketing, so one way to reach the masses is in a direct mail program, it is much less intrusive that a phone call but you are still reaching the potential customer. Currently 52% of all US Mail is direct marketing mail and with almost 100 billion pieces sent annually it is no coincidence that marketers are looking for a way to make their direct mail stand out and variable data printing is one of them. 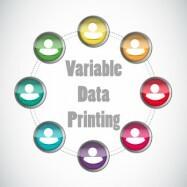 Variable Data printing is the same as standard digital printing in that it is very high speed and on-demand, however when you change an element from one page to the next, similar to maybe a name or a message or a photo, and you don’t slow down the production speed of the printer or increase the printing cost this is Variable Data Printing, it is a very simple process and allows you to customize the message to your recipient and it is known to double or triple your response rate depending on the number of variable fields per mail piece. The industry standard for response rate of a generic mail piece is between 2% and 4% and you must recover your costs of mailing by converting those 2% of responders otherwise your ROI will be negative. By increasing your response rate to almost 7% or 8% you have a much higher chance to convert the prospect and net a positive ROI. 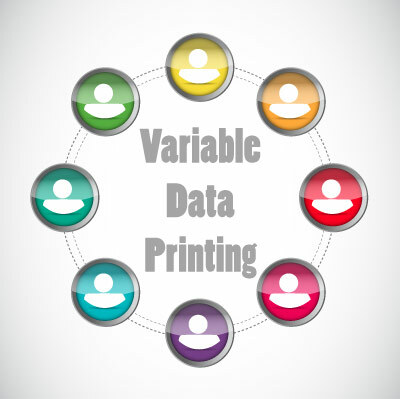 In summary, result of using variable data printing in you marketing and mailing will lead to more engaging promotions which will lead to a higher response rate and with proper sales will lead to a much higher return on your investment. © 2015 Copyright by MHK Print. All rights reserved. Designed By 480|Creative.